1/1 Heat map The Bureau of Meteorology's interactive weather forecasting chart has added new colours to extend its previous temperature range that had been capped at 50 degrees. Image sourced from Sydney Morning Herald, January 2013. 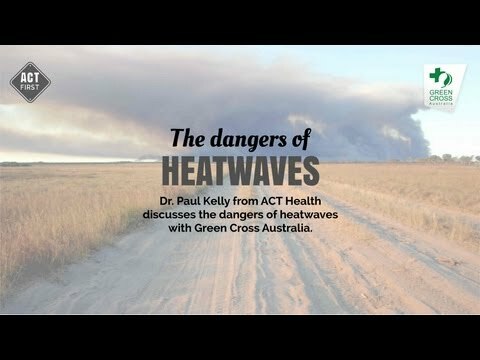 1/5 The dangers of heatwaves Dr. Paul Kelly talks about the dangers of heat waves. Heatwaves are very high summer temperatures, resulting from certain combinations of temperature, humidity and air movement. Heatwaves can cause death and seriously affect thousands of people. 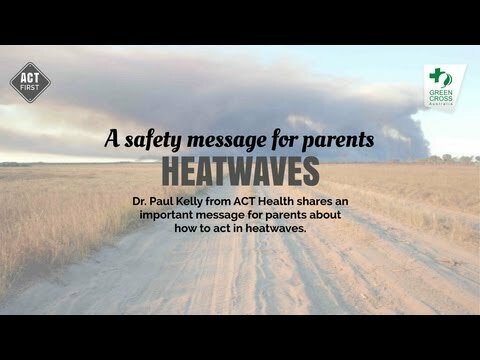 There have been many heatwaves in Australia, including the 1939 heatwave which killed 438 people in South Australia. Heatwaves are different than many other disasters such as bushfires or severe storms. Heatwaves can affect large areas over a long period of time. Heat-related stress is illness which usually occurs when a person is exposed to a hot-environment which overwhelms their body’s ability to maintain a normal temperature. The early symptoms of heat-related stress include headaches, dizziness, faintness, nausea and vomiting. In babies, signs of heat-related stress include restlessness, irritability and a reduced number of wet nappies. Heat-related stress is a serious medical condition. If not recognised early and managed properly, people can potentially develop life-threatening illness (heat-stroke). Simple measures that can be applied by everyone significantly reduce the chance of becoming seriously unwell with heat-related stress. People adapt to heat by sweating, reducing their level of physical activity, and moving to a cool environment such as an air-conditioned building. Heat-related stress can occur on normal summer days, but the risk of developing heat-related stress increases dramatically if outdoor temperatures rise above 35 degrees Celsius. Relatively short exposure to extremely hot environments can also cause heat-related stress. These include the interior of a hot car, a tent on a hot day, or periods of direct exposure to the sun. 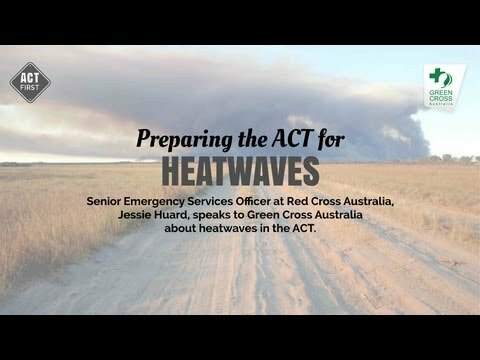 During the 2012/13 heatwave, the temperature in Canberra reached a record 42 degrees Celsius.